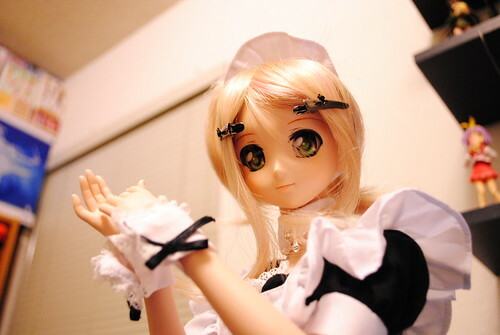 Did I ever mention I had a cute maid at home? 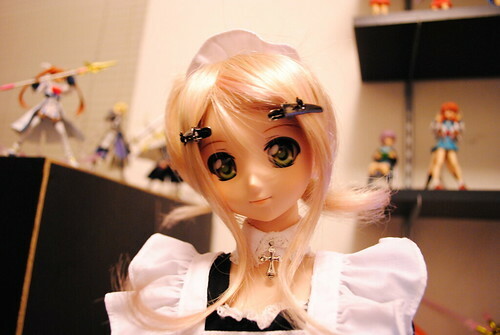 In order to help everyone with their daily intake of cute maids I thought I would share some pictures of mine. 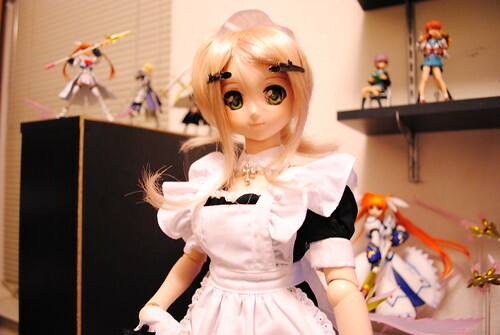 I rarely feature Nanoha on my blog if you forgotten about her you can read up her introduction. 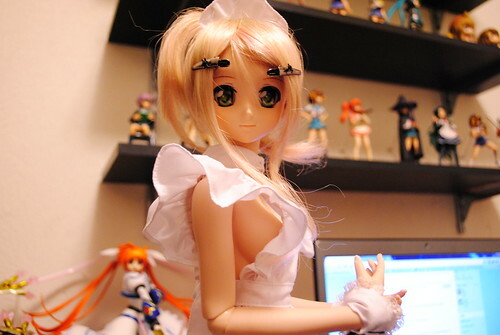 Last time I showed off Nanoha was back in April, when I showed a nice one piece dress I bought her. 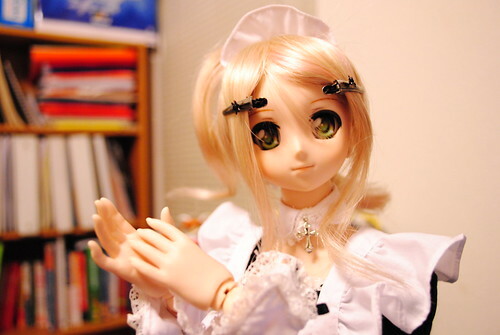 Just recently I changed her eyes, which is mainly what motivated to shoot some pictures of her. 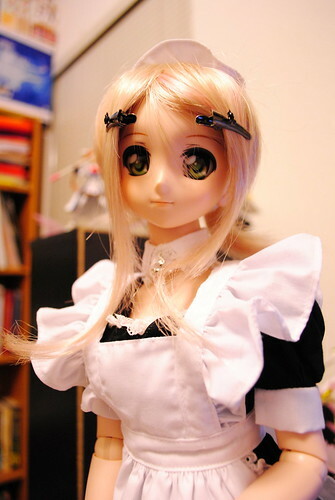 In order to give her a new look I went and dug out this wig I got last year. It fits her a little to big so I used the other pair of her hair clips to show her face. You might not be able to see it but this wig is actually a pony tail. Never used it before since it's quite frizzy, it has gotten better over time but still too much for my liking. 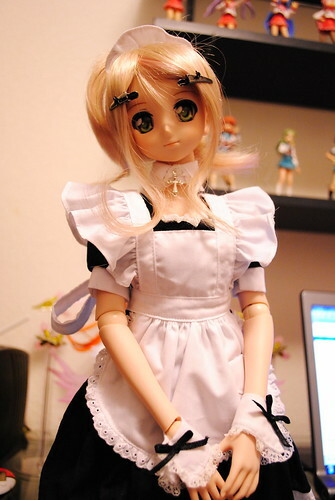 I got this maid set at Dollmore for those interested. 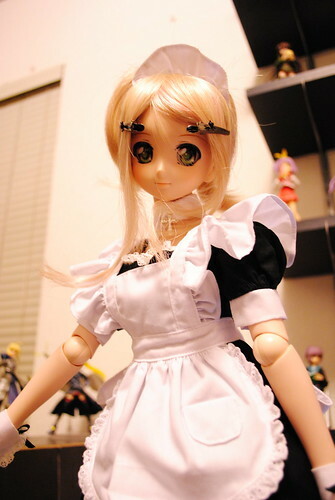 Although my ultimate aim is the Cure Maid Cafe Summer Uniform. 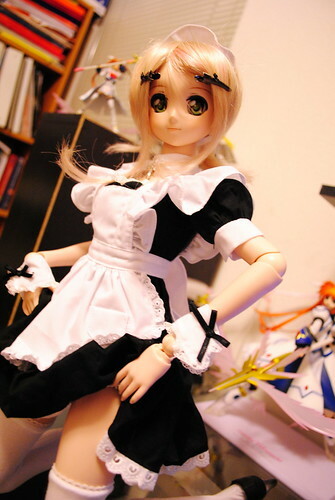 My only complaint about this set it's that the skirt is a little to long to allow some delicious zettai ryouki. I gotta say, the first thing that came to mind when I saw the apron was one specific thought. If you thought naked apron, then we are both great minds that think alike. I took these photos on a whim without much thought so they are kinda boring. At the very least I hope you enjoyed them a bit. 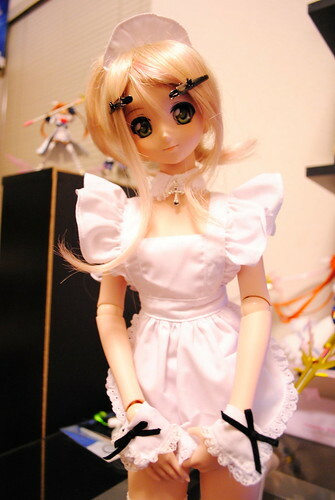 However, if you are interested you can take a look at Nanoha's flickr set.